How Far is Vesperia Alight? Sandstone Group has believed in sustainable development and transforming the real estate industry though innovation. 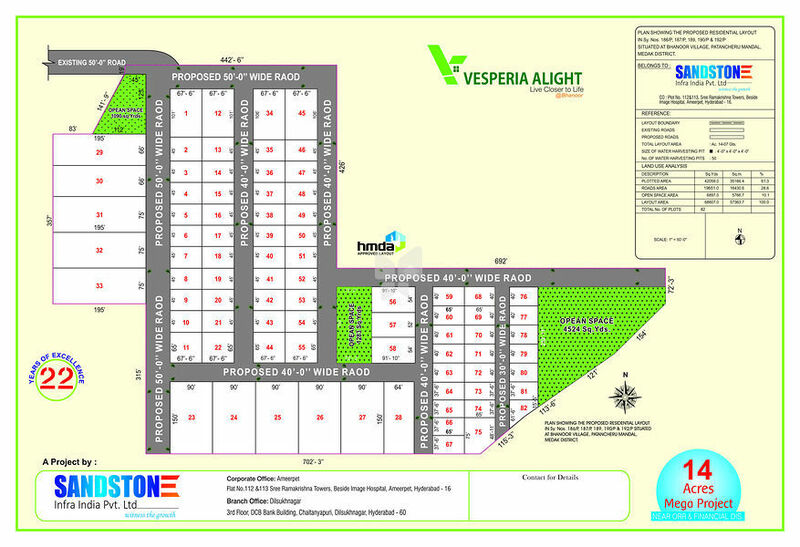 Over a period that spans around two decades; VESPERIA ALIGHT acquired more then 14acres of prime land in and around Bhanoor Village, Patancheru Mandal, Medak District.